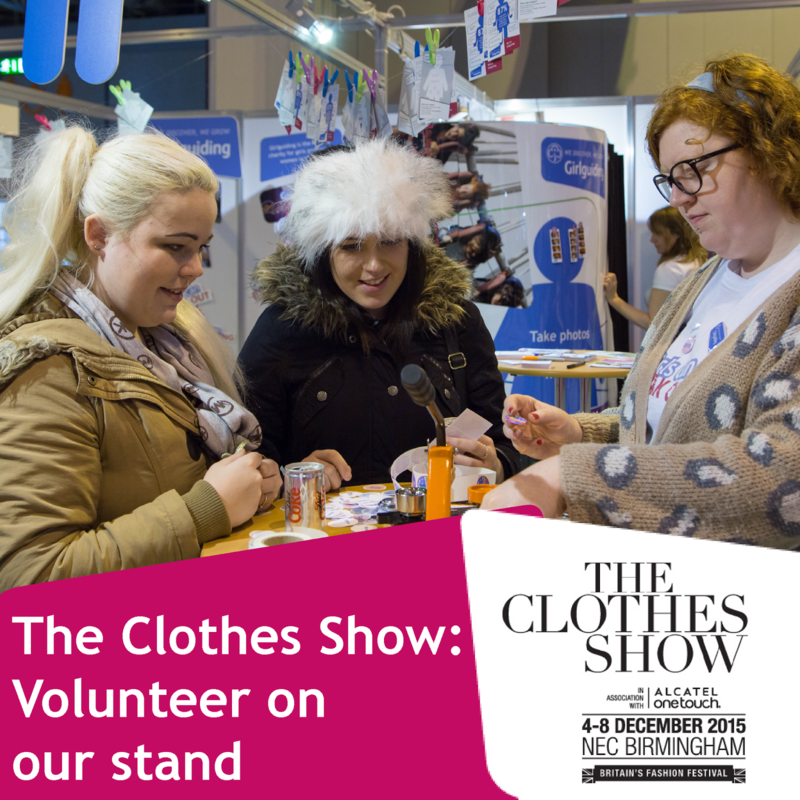 The Clothes Show takes place at the National Exhibition Centre in Birmingham from 4-8 December 2015 – and, for the third year running, Girlguiding will be there! Girlguiding Midlands are looking for volunteers from around the Region who can help run the stand and tell the girls and young women visiting this huge annual event all about the amazing opportunities guiding can offer them. We’re looking for volunteers aged 18 - 30, who can talk confidently and passionately about the adventures, skills, experiences and friendships they’ve gained through guiding. Please note that volunteers will be asked to help run the stand for at least one half-day shift, and will be able to explore The Clothes Show for the rest of the day. Training will be provided in advance - you must be available on Saturday 21 November for this. Follow this link to apply online. Applications will close at midnight on Sunday 11 October.